Clematis is a beautiful, climbing woody vine that produces abundant blossoms in a variety of colors. 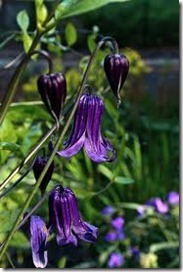 Once established, clematis needs only a minimum of care to continue blooming year after year. Most popular varieties are the Jackman clematis, which produces large, deep purple flowers, and the Japanese clematis which produces profuse small white flowers. 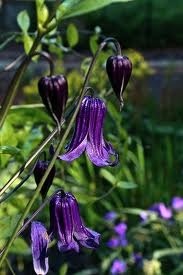 Transplanting clematis from one area to another is not a difficult process but needs some consideration. Clematis comes in varieties that bloom at different times of the growing season. There are spring-blooming varieties that come out of their dormancy period very early. Other varieties bloom in the mid-summer or fall. These periods of dormancy, growing and blooming have an effect on the strength of the plant and its ability to withstand the shock of the transplant process, so care should be taken to avoid blooming seasons when transplanting. Most experts suggest that transplanting be done very early in the spring while the plant is still dormant and before new growth appears. This can be done as soon as the ground can be worked. Otherwise, transplanting should be delayed until very late in the fall after blooms have fallen off. A well-established clematis plant will have an extensive root system that will be larger than you expect. Plant roots can reach as much as 4 feet under ground. It is important to avoid damaging the roots as much as possible because most of the plant’s energy is in the root system during the dormancy period. Dig up the plant, taking care to get as much as the root system as you can. If the plant is large and unwieldy, you may need to use a wheelbarrow to carry it to the transplanting area. Keeping the plant moist will help to establish it in its new home and will reduce shock to the root system. Many clematis plants weather transplanting without a problem, but sometimes a full growing season is required to become accustomed to its new position. Regardless, keep the plant watered and fertilize every two weeks with a general fertilizer.